If you want to see the future of voice communications, look at your smartphone or tablet. There it is, under your camera icon and to the left of your Facebook app, a small icon marked PHONE. That’s the future of voice: one application on a device that runs hundreds of applications. Managing all of these devices and multimedia sessions is a big job… and a big opportunity. Session management is the next wave in the evolution of SIP, and both enterprises and service providers are hoping to ride that wave to increased revenue, more productive employees and improved customer service. 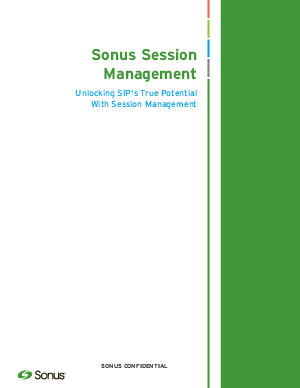 Beyond the adoption of SIP itself, there are several key trends in the market today that are driving the need for session management.